He declined to comment on the group’s position on the overall pact, saying it was still being negotiated. But he made clear that the pharmaceutical industry was hoping for what he called “strong” intellectual property provisions to be included in the trade pact. He dismissed concerns that the pact could limit access to generic drugs, noting that the overwhelming majority of prescriptions filled in the United States were for generic medications, despite strong intellectual property laws in this country. 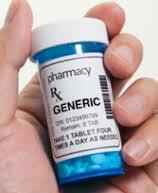 Generic drug industry officials hailed the vote, however. Heather Bresch, the chief executive of Mylan, a generic drug maker, applauded the defeat on Friday by the House, saying it would give her more time to lobby against the trade pact. She and other leaders in the generic drug industry have argued that the pact goes too far in protecting the patents of the brand-name drug industry and would block access to generic drugs around the world.